﻿ How to Add Video to Your Facebook Marketing Strategy » Red Mango Marketing! « Will Google’s Mobile Search Update Impact Your Website Traffic? If you’re on Facebook, you may have noticed a growing number of videos showing up in your News Feed. According to Facebook, The amount of video from people and brands in the News Feed has gone up 3.6 times in the last year. In the US, the number of video posts per person has increased 94 percent! All of this has resulted in average daily video views reaching 1 billion in the second half of 2014. Video is a powerful medium for brands on Facebook because it allows you to stand out in a way that other content types cannot. This is especially true with the launch of auto-play for Facebook videos, which enables videos to play automatically when scrolling through the News Feed. In addition to helping you stand out, video gives you the opportunity to showcase your business, and engage with fans in a more personal way. By showing the people behind your business you’ll be able to build familiarity with your audience, which can help increase trust, loyalty, and credibility with your fans. If you’ve been thinking about adding video to your Facebook strategy, you may have some questions about what to do first. Facebook offers a number of unique video features that can only be accessed when you upload videos directly to Facebook. Many of these are available to all Facebook Pages, and others are brand new and will be rolling out to Pages in the coming months. Auto-play: Videos will play on automatically when a user scrolls through the News Feed. Video metrics: These metrics show you how many people are watching the video, how long they are watching for, and how many people watched the video all the way through. 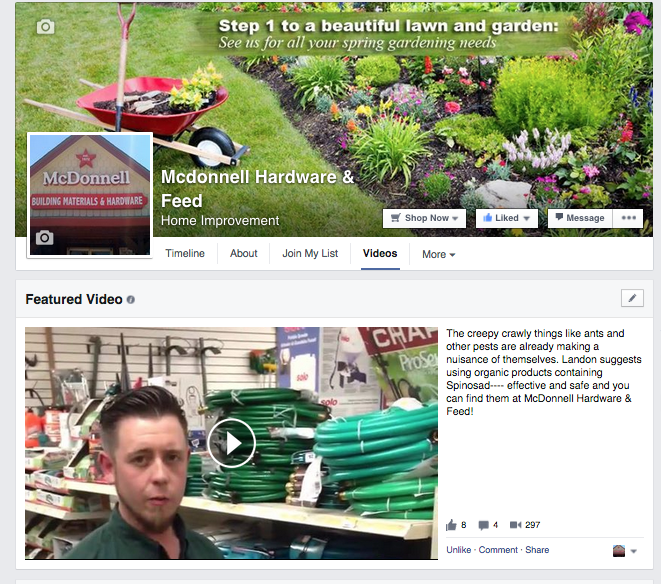 Featured Video: Choose a video to be featured on your Facebook Page. This video will be highlighted under the video section of your Page, and will also be visible on the left side of your Facebook Timeline. Playlists: You will soon be able to create playlists for the videos you create. 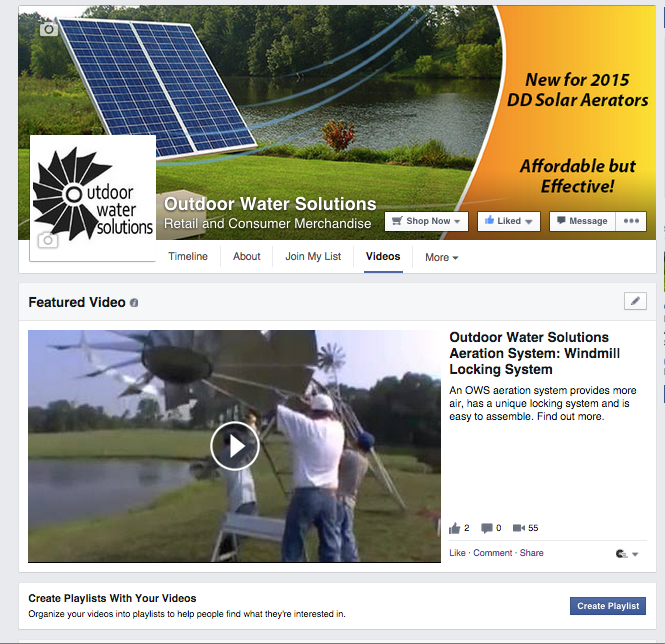 Playlists will be featured in the video section of your Page, under your featured video. In addition to giving you access to these features, uploading your video directly to Facebook will provide new opportunities to reach fans that are interested in video content. If you have fans that are regularly watching, sharing, and engaging with videos, Facebook will take note and display more videos in their news feed. The News Feed can be a pretty chaotic place. If you want your videos to stand out and catch your audience’s attention, you need to include something to let them know what the video is. Add a short description, letting people know what the video is and why they should take the time to watch it. The ideal length for a video can vary based on the type of video you’re creating and the context in which you’re delivering it to your audience. When it comes to creating content on social media, it’s better to be concise and to-the-point than to create lengthy assets that take up a lot of your audience’s time. As a rule of thumb, we recommend keeping your videos between 30 – 90 seconds in length. You can also experiment with shorter bite-size videos like the ones you may create with Instagram. If you have longer videos — like training assets that walk viewers through a step-by-step process — consider creating a series of shorter quick tip videos and sharing them on your Facebook Page. As you start to share videos on Facebook, take the time to track your results. Facebook provides details on the total number of video views and the number of people who watched your video. 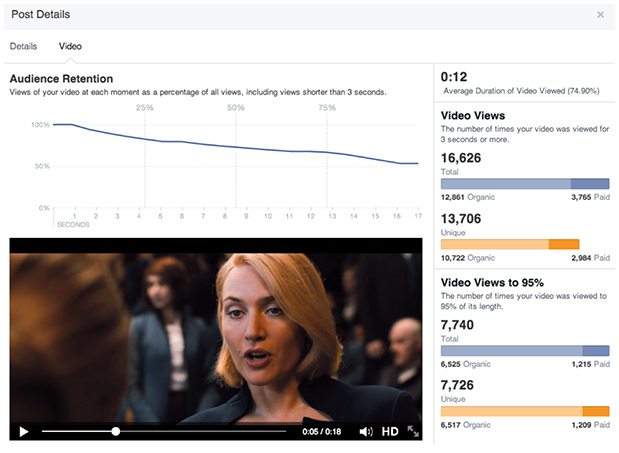 You can also track audience retention to see how long people are watching your videos for. In addition to video metrics, you can also keep track of how your video posts are performing in terms of reach and engagement. Compare the performance of your videos to other content types like photos, links, and text updates to see which type of posts are getting the best results. Finally, take the time to monitor your posts for any feedback from fans so that you can reply to and comments from fans. These small interactions can tell you a lot about how your videos are being received and offer valuable insights into who is engaging with your videos. With today’s technology, you don’t need to have a big budget to create videos your audience will love. 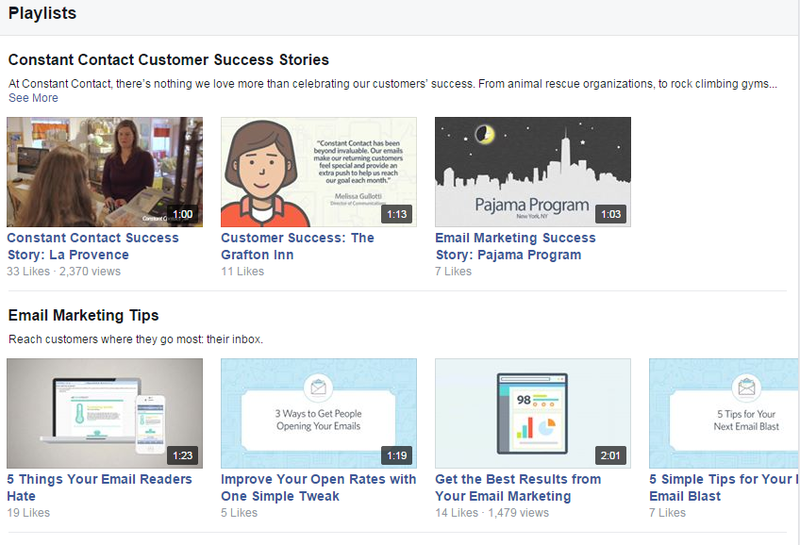 Start by thinking about the types of videos you can use to engage fans on Facebook. Need ideas? Call us, we can help with suggestions and discuss what has worked for our clients! Give us a ring at 214-789-4967. This entry was posted on Sunday, April 26th, 2015 at 7:40 am	and is filed under News & Updates. You can follow any responses to this entry through the RSS 2.0 feed. Both comments and pings are currently closed.